With thousands of electricals to choose from and a bespoke delivery service, it's easy to find what you want, whenever you need it. Our dedicated and personal services are built to suit the needs of your business and save you time. From kettles and dishwashers to TVs and laptops, we have the best prices on a huge range of products available for delivery when you need it. We're experienced in working with different business sectors to give advice on the right products, delivery to suit your schedule and business services to meet your needs. We offer a bespoke service, no matter how big or small. We work with thousands of businesses including landlords and property managers, large corporations, independent tradespeople, construction, house builders, charities, the public sector and many more! We offer the best prices through our price match promise, as well as bulk discounts and business promotions. Order online or with our dedicated AO Business team over the phone or via email. 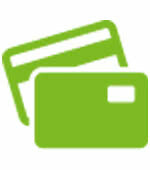 Store payment details, track your order, view your order history and print invoices from your own online account. Flexible offline and online payment methods, including BACS. 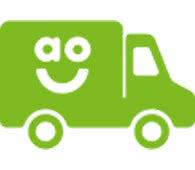 Next day delivery and installation is available, plus a range of free delivery options. For an extra cost, select our recycling service and we'll collect your old appliances and dispose of them responsibly. Fill in your details on the business account page. We’ll then send you an activation email to the address you’ve given us. Open it, click the link and you’ll be directed back to our website. All done; you're ready to shop with AO Business! We'll match all the retailers, even in the sales!